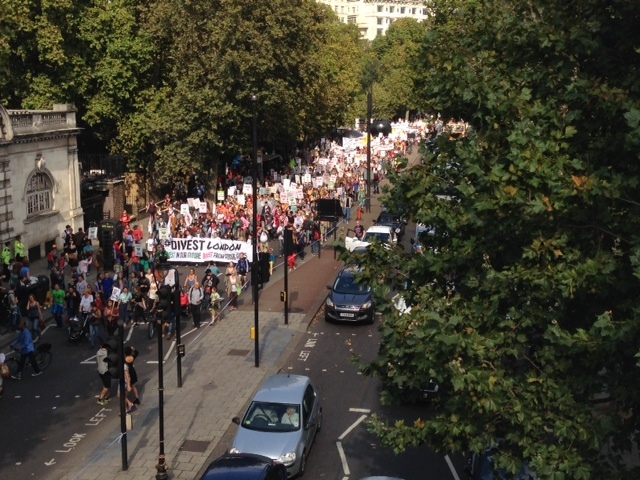 A couple of weeks ago, People’s Climate marches were held in cities across the world. Held immediately before the UN climate summit, thousands rallied to emphasise the fact that we all need to work to lower our carbon dioxide emissions before it is too late. It is often said that we can “do our bit” by boiling only enough water to make the amount of tea/coffee that we want. So the question is, how much carbon dioxide is emitted as a result of preparing my morning cafetiere? And a related question, will it really make a difference if I boil the kettle efficiently? A small cafetiere holds, roughly, 500ml of water. We need to increase the temperature of the water by approximately 80 C (from room temperature around 20 C to boiling point) in order to make the coffee. It is a property of water that, to raise its temperature by 1 C, we need to supply 4.186 Joules of (heat) energy per gramme (ml) of water (ref). To boil the amount needed for a cafetiere therefore takes 167 440 Joules of energy. (In practise it will take more than this owing to the efficiency, or inefficiency, of the kettle but this gives us a “ball-park” figure and a lower estimate). How to turn this “energy” into a carbon footprint? Perhaps the simplest estimate would be to use the CO2 emissions guide for different electricity generation methods (link). The amount of CO2 emitted during electricity generation depends on the way that the electricity is generated. A wind farm is clearly going to produce far less CO2 than a coal fired power station. However, as a lot of electricity is still generated by burning fuels, let’s calculate the CO2 emissions for a ‘dirty’ fossil fuel such as (hard) coal and a ‘cleaner’ fossil fuel such as natural gas. According to estimates, (link) hard coal emits 115 kg of CO2 per GJ (ie. per 1 000 000 000 Joules) of energy produced. Natural gas emits 63 kg/GJ. This means that for one cafetiere (167 kJ), 19g of CO2 is emitted if your kettle is powered by a coal burning power station, or 11g (if your electricity supplier largely relies on natural gas). But what do these figures mean in terms of our carbon footprint? In the UK in 2010, 7900 kg of CO2 was emitted per person, according to the World Bank (link). This means that one cafetiere is the equivalent of 0.1% of an individual’s footprint for one day. This does not seem much but let’s phrase it differently. According to the British Coffee Association, 70 million cups of coffee per day are consumed in the UK and approximately 2 billion per day world wide. For the sake of simplicity in our calculations, let us assume (not unreasonably I think) that one cafetiere is the equivalent of two cups. Then, if we take the worst case (electricity generation from hard coal), each day there are 665 metric tons of CO2 produced in the UK from people enjoying their coffees (19g x 35 million cafetiere equivalents). Worldwide this equates to 19 000 tons of CO2 per day. If each person was boiling twice the amount of water that they needed for their coffee, more CO2 would be emitted each day due to our coffee making than the total annual CO2 emissions of the country of Lesotho (2010 figures, ref). Something to think about while enjoying a coffee. 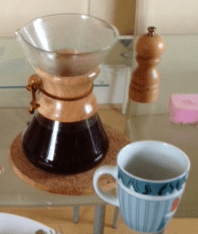 In the blog post “Musical Coffee”, I used a loud speaker that I had made out of a coffee cup. This (hopefully brief) post is just to explain how the speaker was made in order that you can make it at home. Firstly though I need to thank Jose Pino who had posted instructions for a very similar speaker (link) and from whom I got the idea for this speaker. Secondly, I ought to say that this video is the making of the actual speaker used in Musical Coffee. Some further optimisation is clearly possible. Step 1: Make a paper “jacket” for the magnet. This jacket is there so that, eventually, we can pull the magnet out from the coil that we are going to wrap around the magnet. Step 2: Make a second jacket with feet. This jacket is to support the coil. The ‘feet’ will allow us to easily superglue the jacket to the bottom of the take-away cup. Step 3: Protect the magnet with a piece of paper. This paper just sits between the magnet and the cup. It is to stop the magnet from getting glued to the cup in the next step. Step 4: Glue the jackets to the cup. This is where the feet in step 2 come in. Glue the outer jacket to the cup, the magnet should still be inside the jackets at this point but DO NOT glue the magnet to the bottom of the cup. Step 5: Wind the coil. I used 100 turns of 0.28mm diameter (enamel coated) copper wire. This worked quite well but could easily be optimised. Step 6: Attach the legs. If I were to do this again, I would use cocktail sticks as in the photo here. 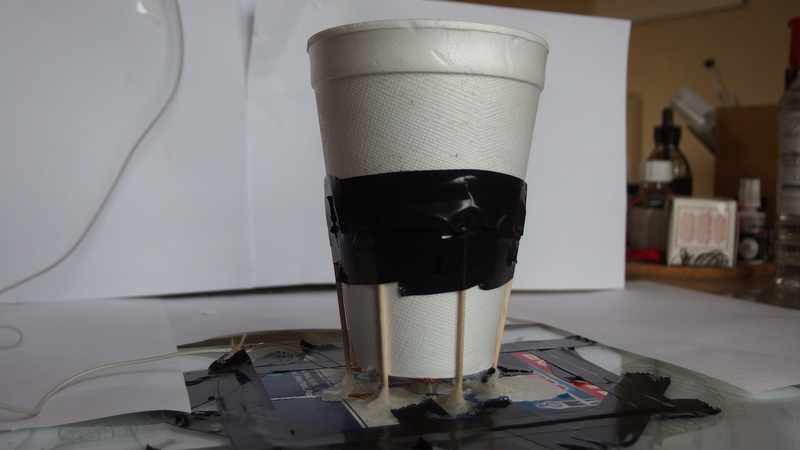 In the video Musical Coffee though, I used bits of polystyrene cup stuck on with glue after having tried using straws. The aim is to make the cup fairly rigid so that the vibrations from the coil at the bottom of the cup are transmitted into the fluid of the coffee. The legs made out of bits of polystyrene cup worked well enough to hold coffee in the cup while it was being used as a loud-speaker but the cocktail stick design worked much better. Step 7: Remove the inner paper jacket. This is so that when you turn the coffee cup over and mount it onto a piece of card, the magnet will fall out onto the card centred with the coil. Step 8: Glue the speaker and magnet to the card. Look again at the picture. See that the magnet is on the card and directly below the coil? This is how it should be attached. Depending on what you used for legs, either superglue or wax (as used in the photo of the speaker with cocktail stick legs) would be good to hold the speaker in place. Step 9: Be brutal with your ear-phones. Cut an ear-bud off. There should be two wires left exposed. Step 10: Solder the ends of the coil to the wires from the ear-phones. If you are not happy soldering, remove the enamel coating of the wire used for the coil with a sharp blade and then twist this wire with the ear-phone wires before fixing it with tape. You are ready to go. Let me know how you get on in the comments section below. Have fun. A few weeks ago, I chanced upon an article “Listening to Stars Twinkle” (link) via Mr Gluckin on Twitter. 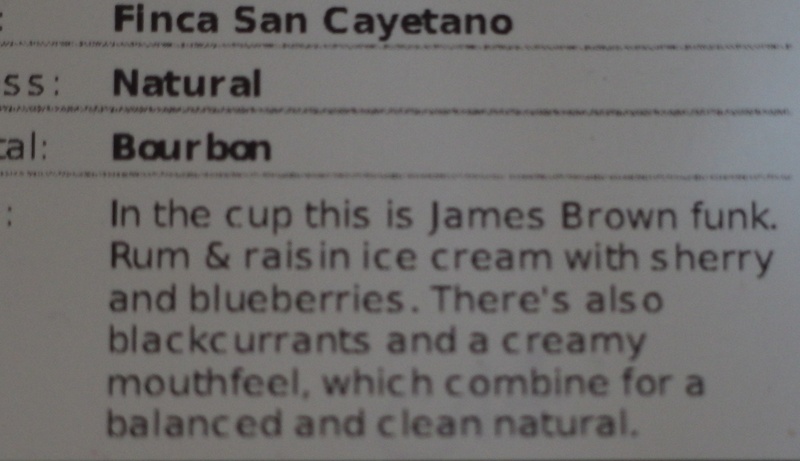 At very nearly the same time, I received in the post, a new coffee from Hasbean (link) which suggested an entertaining coffee (see pic). A perfect time to have some fun with coffee, I think. The article was about ‘stellar seismology’: Understanding the inside of a star by watching sound travel through it. We know from daily experience that the way sound travels through air depends on the temperature of the atmosphere. Sounds can appear to travel further on cold evenings than on warm nights for example (for an explanation of this effect click here). Conventional seismology on earth uses the same principles. By measuring how sound is deflected as it travels through the earth, geologists can work out the type of rock in the interior of the earth (and whether the rock is solid or molten). Unlike these earthly examples though, ‘listening’ to a star is not so easy. We cannot hear stars vibrate as sound travels through them. We can only view them from a distance. It is therefore very fortunate that the surface of a star will start to move noticeably as the sound travelling through the star hits one of the star’s ‘resonances’. 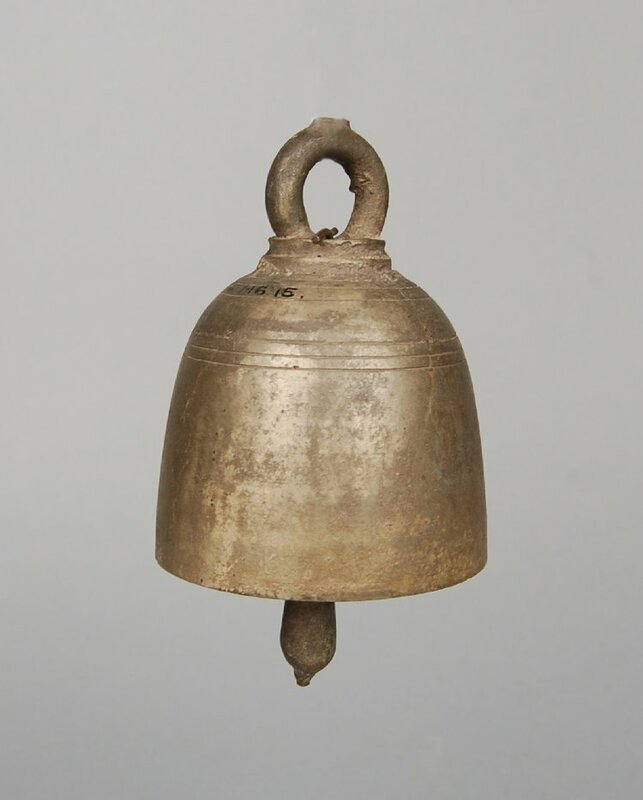 Just as a bell has a tone depending on its shape and what it is made of, so a star has a series of ‘notes’ that depend on the composition and temperature of the star. These ‘notes’ are the star’s resonances and we can find out what they are by watching the different patterns on the star’s surface. Each resonance has a distinct, signature pattern which is dependent on the ‘tone’ of the resonance, much like the patterns you can see on the surface of a coffee by dragging a take-away cup across a table. The temperature and composition of the interior of the star determine the ‘notes’ of the resonances and so, by looking at the surface vibrate we can work out what is inside a star. Can we illustrate this with a cup of coffee? Of course we had fun trying. In the video, the hot coffee is poured into a take-away cup that I have previously made into a loud speaker. In the next few days I will upload details of the making of the speaker onto the Daily Grind. Hooking up the speaker to my phone, I could easily play music through the cup (and through the coffee). But by connecting the cup-speaker to the phone with a tone generator app installed (free and downloadable from the app store for iPhones and probably similar for Android phones) I could generate single ‘notes’ through the speaker from 1Hz to 20 kHz. Our ears are only sensitive to frequencies from approximately 20 Hz-20 kHz so below 20 Hz we cannot hear the notes being played. Nonetheless between 12 and 13 Hz, the surface of the coffee started to show a lot of movement. Although the distinct patterns of a resonance could not be seen (perhaps the speaker, lighting or other experimental conditions needed optimising), we can clearly see the coffee resonate as the surface is vibrating so strongly at these frequencies. As the tone was changed to down to 10Hz or up to 14Hz, the vibrations faded. The ‘resonance’ of the hot coffee filled cup-speaker was 12-13 Hz. If the cup were to be filled with yoghurt or only half filled, we would expect the ‘note’ at which the surface vibrated to change. Indeed, in this latter case, I could no longer find the resonance anywhere near 12-13 Hz. ‘Listening’ to the coffee by watching its surface means that we can, in principle, work out the properties of the coffee, its temperature, density etc. And it is in this way that we ‘listen’ to stars ‘twinkle’ so as to understand our universe more. So thank you MrGluckin and Hasbean for providing an entertaining couple of weeks for me! Please try this at home and let me know what you discover in the comments section below. Important Disclaimer: No coffee was wasted in this experiment! I had already finished drinking the contents of the cafetiere and just used the old grounds to provide the ‘coffee’ in the video. Part of my morning routine can involve a walk through a local park. Each day reveals how the seasons are affecting the plants, bird life etc. This morning on walking through the park, I was treated to the spectacle of a thick layer of dew, shimmering and spectacular, glinting in the sunlight. Taking out my phone, I tried to take a picture of the scene for later and yet, what came out in the image was not the brilliant scene before me but instead some blurry grass. The ‘immediacy’ of the sight struck home. As with so many of the gifts that nature provides, attempting to take a photograph of it somehow just doesn’t quite capture the beauty of the moment. There are some great photographs of sunsets or sunrises, but part of the attraction of the image is not the photograph itself but our memory of those brilliant sunsets that we have experienced. The photograph is suggestive of the beauty that the photographer saw but somehow, the fullness of that beauty has not translated into the photograph. As we stop to enjoy the moment, rather than photograph it and rush off to our morning appointment, we can start to notice what it is about it that captivates us. 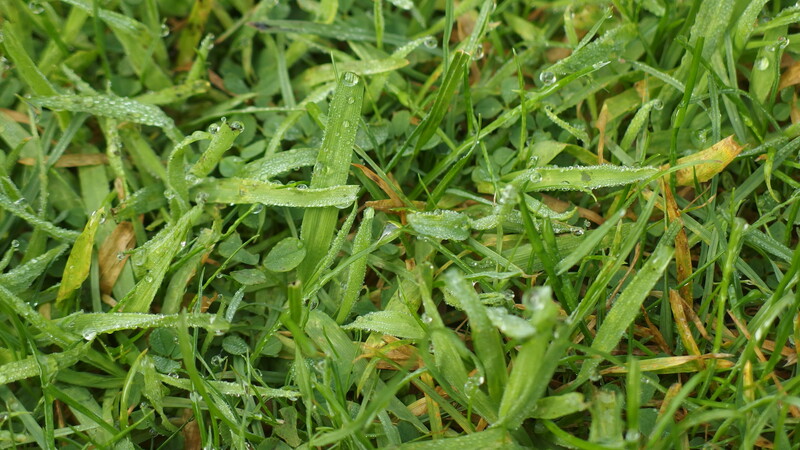 From my viewpoint, the majority of the dew this morning formed a silver blanket on the grass. It was this that caught my eye initially. 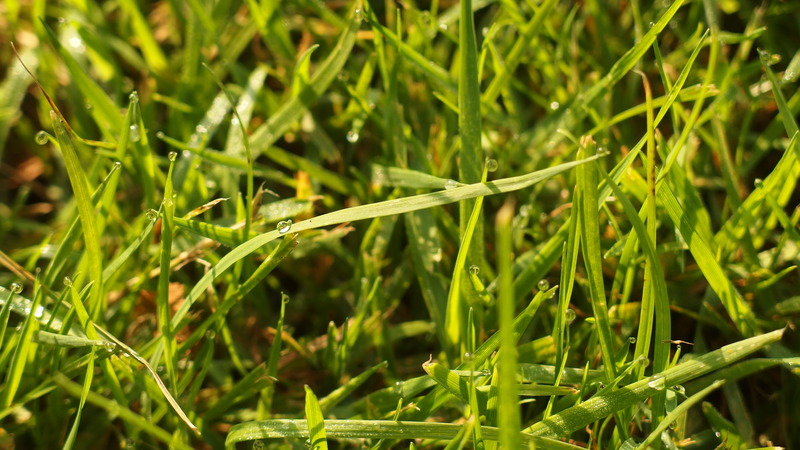 Yet as I observed the dew, individual droplets came into focus and, because of the angle at which I was viewing them, they appeared as blue, as a slightly different blue and then other different colours. The physics of the rainbow was being revealed before me, one metre away on the grass. If I moved, the clues to these mysteries would disappear. It is a Saturday morning as I write this while sitting in Granary Square in Kings Cross, London. I’ve just enjoyed an Ethiopean filter coffee at Caravan. If only more cafes offered the possibility of sampling single estate coffees rather than the espressos that are otherwise so popular in London. In the square outside, people are laughing (and dancing!) in front of the old warehouses that accomodate Caravan. Amongst them all, four sets of ground-level fountains push jets of foaming water 50cm into the air, in patterns that change as you watch. There is so much physics here to observe: The white colour of the water foam, the dance of the water droplets as they emerge from the main jet of the fountain and then fall back to earth, the fact that the wet concrete around the fountains is darker than the dry concrete nearby. Consider though one more observation. 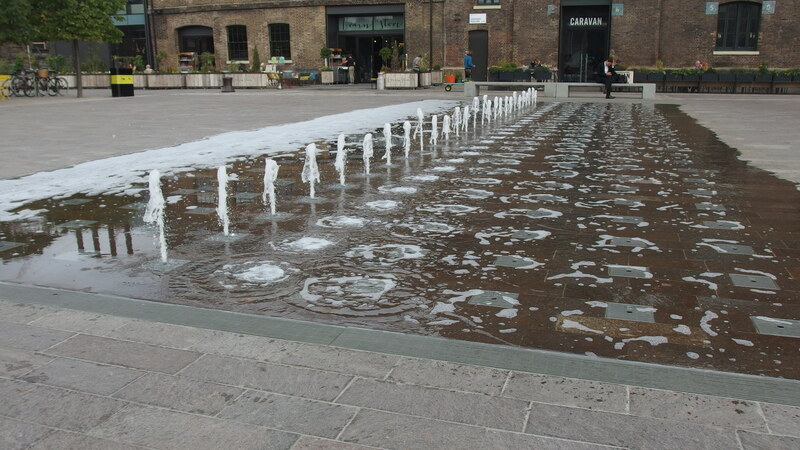 As the water shoots upwards, it is pushed by occasional gusts of wind from west to east making the fountains appear as loops rather than columns of dancing liquid. Although the direction of the wind is determined by local weather patterns, over the UK the prevailing wind direction is Westerly, that is flowing from west to east. People have wondered about the origin of the winds from ancient times. The Greeks had four wind Gods who had authority over the winds from each direction: Boreas, god of the North wind, Notus of the South, Euros of the East and Zephryos of the West. Pliny the Elder speculated at length on the causes of the winds and yet the start of the modern conversation regarding the origin of the winds had to wait until 1686 with the publication of a work by Edmund Halley. Halley (1656-1742) is now more famous for the comet that is named after him rather than his meteorological work but, as with many scientists of the time, he had his finger in many pies. 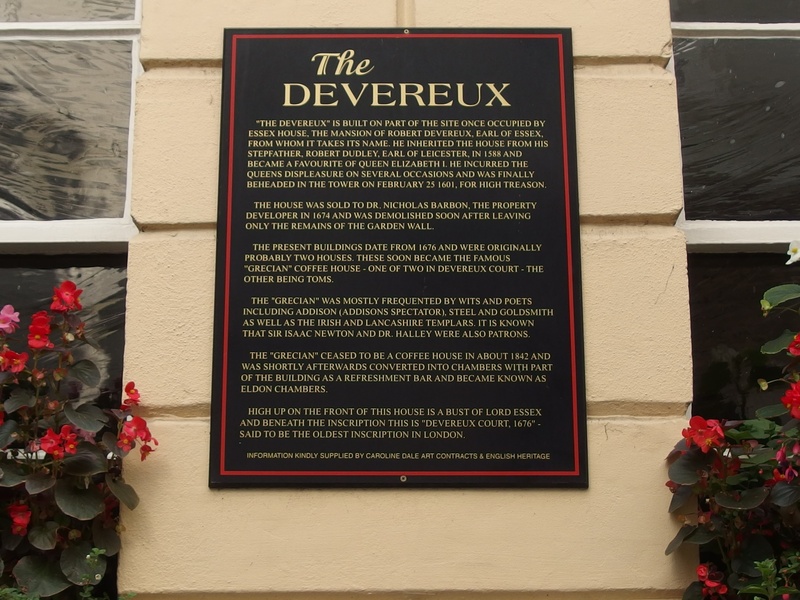 He also seems to have been a keen coffee drinker, or at least, he regularly spent time in one of London’s coffee houses, the Grecian, discussing science with Isaac Newton, Hans Sloane and others. 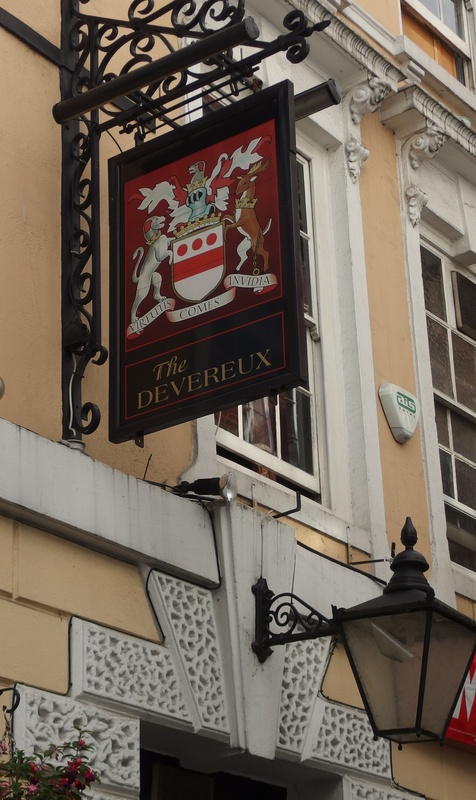 A pub, the Devereux, now stands on the site of the old Grecian in a little side street off of Fleet Street. Did Halley ponder cloud formation, rain and the origin of the winds while contemplating his steaming coffee cup on cold days in 17th Century London? Regardless, Halley did recognise that the heat from the Sun was the driving force for the wind system. Halley surmised that as a parcel of air was heated by the Sun and rose upwards, the cold air surrounding it would have to flow in to its place so as to replace the risen air so “..by a kind of Circulation N.E. Trade Winds below will be attended by a S.W. above, and the S.E. with a N.W. Wind above”* The problem for Halley was that his explanation of the wind system could account for a North-South wind direction owing to the Sun’s heating the air at the equator, but not the Easterly direction of the Trade Winds near the equator nor the Westerly direction of the winds over the UK. A few years later, George Hadley (1685-1768) suggested that it was the rotation of the earth that was responsible for the east-west component; the mass of air, being detached from the earth, would appear to flow in a particular direction as a consequence of the earth spinning below it. The idea was not new, Galileo had proposed it some years earlier while similar arguments were made later by the philosopher (and scientist) Immanuel Kant (1724-1804). At first sight, such an argument looks appealing but there are problems, as John Herschel (1792-1871) pointed out. If this were the explanation for the wind direction, the effect would be “so great as to produce not merely a wind, but a tempest of the most destructive violence”†. Herschel suggested, as had Hadley before him, that friction could slow the wind to the speeds that we normally observe, but while this may explain the wind speed at ground level, what about the upper circulatory patterns noted by Halley: What friction could slow these down? It turns out that this is not the reason for the discrepancy in the wind speed. Hadley’s theory was wrong on a number of issues (if you are interested, I suggest reading this article). The real driving force for the Trade Winds is the Coriolis effect which deflects the warm air rising at the equator towards the right as it travels to the North pole. The majority of this air then cools and descends at about 30 degrees latitude, circling back on itself (as per Halley) as the Easterly trade winds. However the air that continues in the westerly direction north (or south) of 30 degrees latitude becomes those prevailing westerlies of the sort that batter the shores of the UK (see here for more information). Even if Hadley’s simple model was wrong, its contemplation did lead to an important discovery that is still relevant for us today. The question was: What was it in the upper atmosphere that could cause a friction effect that could slow the winds? The person contemplating this question was taking a walking holiday in the Alps in the first half of September in 1886. Hermann von Helmholtz (1821-1894) observed a layer of clouds which showed “whirls formed by perturbation and rolling up” of the surfaces of two neighbouring layers of air. Helmholtz had observed what became known as “Kelvin Helmholtz clouds”, a beautiful but very rare cloud type, for an example click here. Helmholtz realised that the formation of these clouds required that two layers of air rubbed against each other. In the region between the two layers, the air became unstable, wavy and finally showed the whirls which are actually a series of vortices. As these vortices developed, the two layers of air would get more thoroughly mixed and it was in this way that friction could develop in the upper atmosphere. Such vortices and “surfaces of discontinuity” are now an important concept in many places including the coffee cup. The video “Coffee Rings” presents another manifestation of the effects of surfaces of discontinuity. So we have returned from contemplation of the wind in a late summer square in London, through a famous Coffee House and back to the coffee. I have not yet had the opportunity for myself to see a Kelvin Helmholtz cloud. If any reader has been so fortunate please share photos with @thinking_bean. Let me know what you think and what you see around you in the comments section below and most importantly, enjoy your coffee! As this is the first true blog post, let’s do the introductions. What is Bean thinking and who is @thinking_bean? The human bean behind @thinking_bean has worked for a fair few years in university research centres, researching obscure but fascinating areas of physics where magnetism meets superconductivity. Such research fields can be very beautiful but perhaps not of immediate technological relevance. Understandably, this can cause some in our society to question the utility of investigating these phenomena. Part of the motivation behind Bean thinking is to explore this question, why do we do science? A second motivation is to share the wonder of the world that today’s understanding of physics gives us. Some of these beautiful areas have not yet been fully understood even though they occur in something as apparently simple as a coffee cup. Through teaching, outreach, talking to friends and even in conversations with some colleagues, I became aware of the way that science, perhaps particularly physics, can be perceived as a very interesting, but perhaps very difficult subject, far removed from people’s everyday lives. Yet this is not true! Slow down, put down your smart phone, e-book or tablet, observe the world. Physics is all around you. Warming your hands around a mug of hot coffee, you may not realise how it is related to the Big Bang. Looking at a glass of milk can illustrate the reasons that the sky is blue. 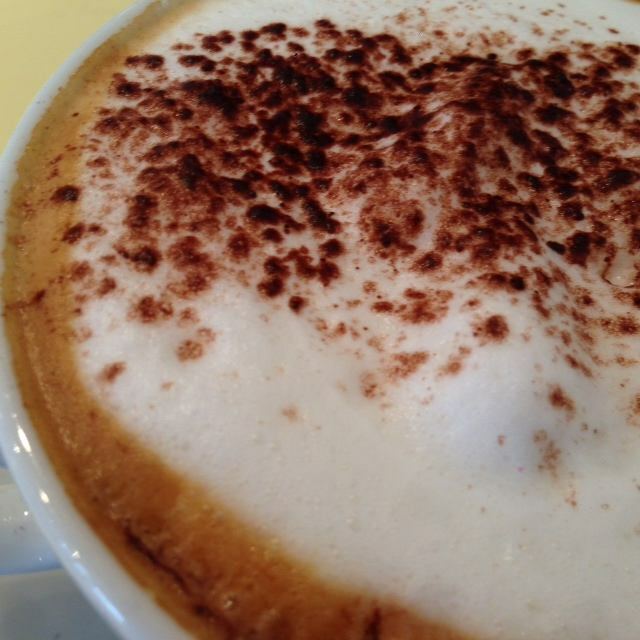 Even the mere act of stirring coffee can be related the Heathrow minute (link, link2). Hence Bean thinking, which hopefully will become a space where curious individuals can come and discuss interesting phenomena that they notice in the day to day. If this can be done with a cup of coffee, all the better. The point is to slow down and start noticing. Each Wednesday I will update the Bean thinking blog, the “Daily Grind” with things that I have noticed or that I find interesting. Who knows, if anyone starts to read this and shares their observations perhaps the Daily Grind can also include these. As this website develops, I may add a forum, but for the moment, please let me know what you think about the concept and what you observe around you in the comments section below. The Daily Grind will be the blog of BeanThinking. Coming soon, please check back in a couple of weeks.